With Derrick Favors struggling and no other big man besides Rudy Gobert standing out, the Utah Jazz may need to look to make an improvement to their frontcourt. The Utah Jazz came into the 2016-17 season with an up-and-coming starting five and what was supposed to be a daunting bench unit. While in more ways than not the now 31-19 Jazz are at least matching if not exceeding expectations, there’s no question that some players haven’t quite been as sharp as hoped. Some of these have been backcourt players such as Rodney Hood and Dante Exum, but with so much wing depth on the roster, the Jazz have largely been able to patch those holes. 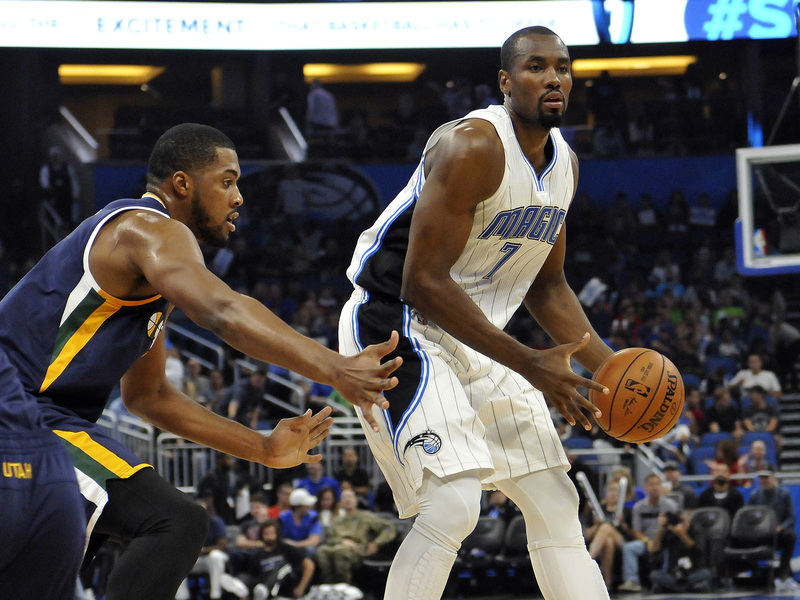 The area where their struggles have been the most apparent has been in the frontcourt. Of course, Rudy Gobert is the absolute exception to this as he has been phenomenal all season long. His impact on both ends of the floor have made him an absolute dominant force for the Jazz that has nearly been able to mask their deficiencies down low. However, while Gobert has represented everything that has gone right with Utah’s post play, so far this season Derrick Favors has been representative of all that’s bad. Battling the lingering effects of a knee injury, Favors has looked like a shell of his former self all season long. Quin Snyder on resting Derrick Favors: "After he warmed up, we just felt like he didn’t have life and we decided to rest him." The other two rotation big men, Boris Diaw and Trey Lyles, have had their moments but overall haven’t been nearly as effective or consistent as expected. They’ve both been better with Gobert on the floor, but when he is in foul trouble or resting, Lyles and Diaw have had a hard time filling the void. Also, when Favors has been injured (which has been a common occurrence this season), it’s been a struggle for either of them to proficiently man the center position. Thus, the healthy Favors from last season would be a welcome and much-needed sight on this Jazz team, but he has yet to appear during the 2016-17 campaign. Therefore, the Jazz are very much in need of finding a solution to shore up the power forward and backup center positions on the team. 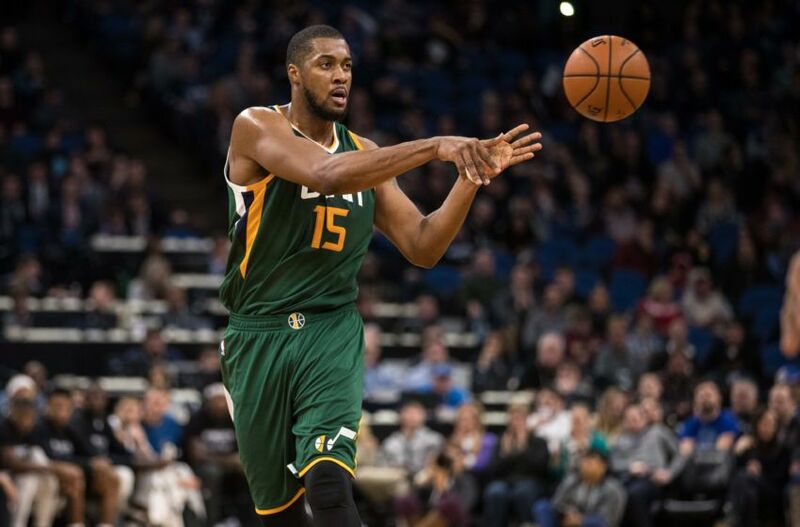 And while earlier this season and certainly last season it would have seemed unthinkable for the Jazz to deal Derrick Favors, his frequent absences and lackluster play have proven that he may very well be quite expendable for the Jazz. So with recent heightened speculation that the Jazz could be willing to trade Derrick Favors, the first two of these solutions will involve such a move. While his trade value may not necessarily be the greatest at the moment, teams looking to rebuild could be willing to take a chance on him given that he has just one year left on his contract after this season and still possesses a sky-high potential. And given his blatant lack of production this season, the Jazz very well may need to look to test the market and see what they can get for him. If that ends up unsuccessful, then Utah could very well just be stuck with an unreliable frontcourt, but there are a couple of alternatives beyond that as well. Either way, the Jazz will need to at least look into one of the following solutions if they hope to fill what has become a blatant void in their roster. Let me start this first option out by saying that while fans and the media can speculate as much as they want, there’s no telling whether the Jazz truly have any plans or consideration of moving Favors. I, for one, am of the opinion that while he’s been pretty downright bad this year, I don’t think the dominant power forward from 2015-16 is completely gone and it’s more likely than not that Utah will hold onto him. On the other hand, the Jazz have fared quite well in his absences and stretches of poor play, so perhaps if the team’s brass deems it necessary, an upgrade wouldn’t be so far out of the question. But even if they do decide to move him, due to his issues this season, they likely won’t have many suitors. Nevertheless, it’s still possible that the right fit could pay significant dividends. 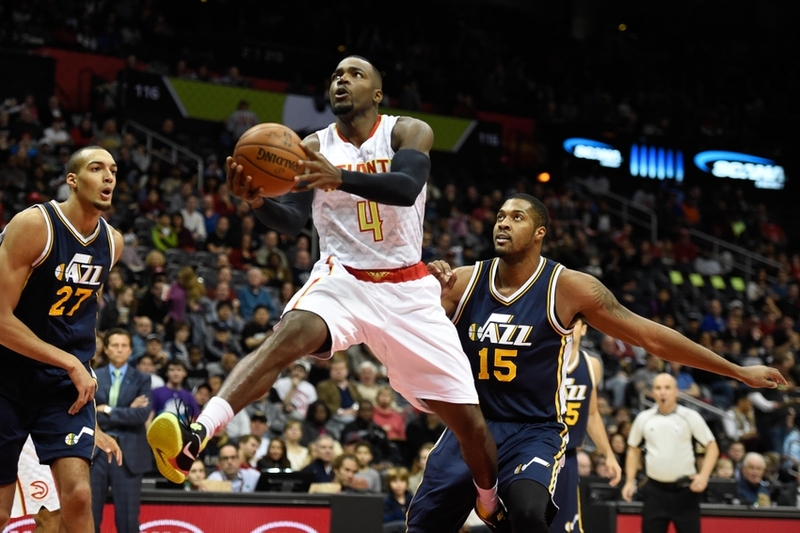 One potential fit could be a trade for Paul Millsap. 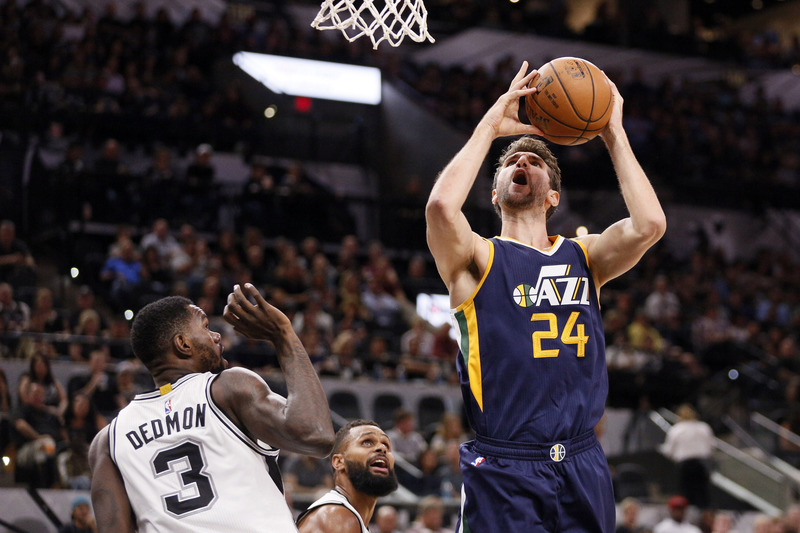 When the veteran power forward was on the trade block last month, some speculated that a reunion with his former Jazz team could be an ideal fit. The Hawks have now supposedly taken him off the trade market, but it wouldn’t be shocking if they were still willing to deal him. But the Hawks have been playing surprisingly well of late after many thought they’d look to blow up the roster after trading Kyle Korver, so perhaps moving Millsap is no longer in the cards. Nevertheless, Atlanta probably still fully realizes that its current group isn’t going to be enough to get them past the Cleveland Cavaliers in the East, so a rebuild could perhaps be imminent. If such was the case, the Jazz could profit from adding a familiar face in the savvy vet who has made a name for himself since leaving Utah. The Jazz would more than likely have to part with more than just Derrick Favors to make the deal happen, but perhaps a talented shooting guard such as Rodney Hood or Alec Burks who the Jazz have also proven very capable of winning without could be used to sweeten the deal. Jazz fans: Thoughts on this? Yet I’m torn on whether that would be a wise decision for the Jazz and even in a rebuild have a hard time seeing Atlanta parting ways with their All-Star forward for two injury-prone players. Nevertheless, under the right circumstances a Favors for Millsap swap could benefit both teams and is an option that the Jazz should at least look into if hoping to make a significant improvement in their frontcourt. Of course all these solutions are hypothetical and any of them like this one involving a trade would depend on several factors such as the other team’s willingness to make a move, but there’s almost no question that the Orlando Magic are looking to make a change and Serge Ibaka’s name has come up several times. Ibaka was once considered one of the premier power forwards in the league in his time in Oklahoma City and while his prominence has stumbled somewhat, he’s still quite the force to be reckoned with. He can score, shoot the three and is an excellent rim protector. Just imagine what a duo it would be to have the Stifle Tower and Serge “I-Block-a” roaming in the paint for the Jazz on defense. 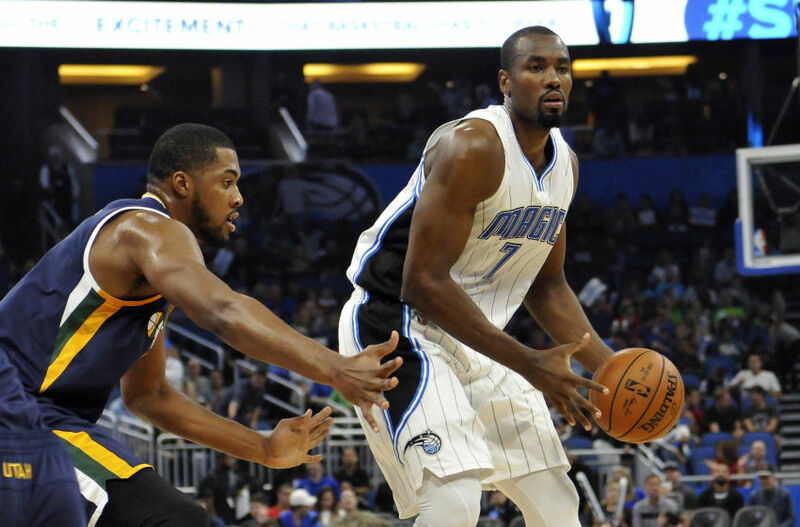 And while Favors at his best could very well be considered comparable to Ibaka, there’s no doubting that the Magic forward has been the better player this season. He would also bring an edge to the Jazz that is sorely missing at times and would be a more commanding presence down low while also being able to stretch the floor. While the Magic don’t necessarily have much of a need to bring in more big men, perhaps the right combination with a wing player, such as the Burks-Favors or Hood-Favors pair I mentioned in the Millsap trade, could woo them. However, if I was hesitant to give up two players of that caliber for Millsap, I’d be even more so to do the same for Ibaka. Orlando seems pretty set on moving him, so if Dennis Lindsey and the Jazz could work some magic (no pun intended) and get him without losing quite so much, this would certainly be a move that would significantly bolster the frontcourt for the time being. The other issue, though, lies in Ibaka himself. He’s known for having a strong and sometimes clashing personality, so it might be risky to add him to a Jazz team that has had next to no chemistry issues since the departure of Enes Kanter. But once again, he is talented enough of a player and clearly on the trade block, so the Jazz shouldn’t miss out on an opportunity to at least see if anything could come of a potential deal for the eighth-year pro. OK, now I know some of you think I’m bordering on crazy now, but if Utah doesn’t want to make a trade or doesn’t like their offers, there is another route they could go by exploring the current free agent pool. Of course the Cleveland Cavaliers who according to team president, general manager, owner, head coach and star player LeBron James are in desperate need of a playmaker, are the latest to make headlines by working out a handful of former NBA players – Mario Chalmers, Lance Stephenson, Kirk Hinrich and Jordan Farmar – who currently find themselves as free agents. While it has yet to be seen whether any of the four players will make the cut, it just serves as another reminder that it’s not uncommon for teams to look to bolster their roster by adding free agents late in the season. And while Sanders has unquestionably had his issues throughout his career, when the news broke that he was looking to make an NBA return, it instantly caught my eye. 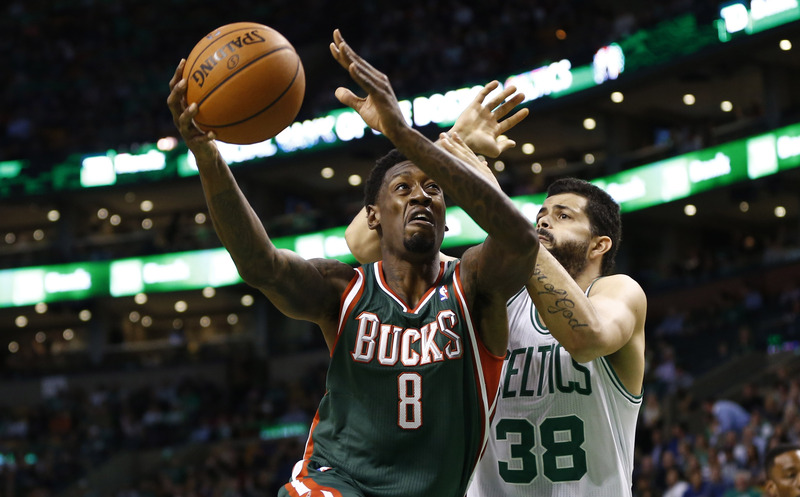 Former Milwaukee center Larry Sanders has ramped up NBA comeback efforts. He has hired agent Joel Bell and started visits to teams. Attitude concerns aside, there’s no questioning that Sanders was at one point an up-and-coming force in the paint that had an extremely bright future. Given that the Jazz wouldn’t have to trade anyone to acquire him, he could fit in nicely off the bench behind Rudy Gobert while keeping Favors in the starting lineup to hopefully get back to his old ways and not have to log so much time as Utah’s backup center. True, Utah would have one too many players on their roster by adding Sanders, but with four point guards currently on the team, there’s no reason why Shelvin Mack or Raul Neto couldn’t be moved for a draft pick, for example, to free up space for him. Still I fully realize that there’s a ton of question marks involved with this one. Is Sanders really in NBA shape? Can he still make an impact? Is he still a head case whose attitude would do more harm than his skills would help? Would the Jazz even be able or willing to make any sort of offer that would convince Sanders to join up with them? 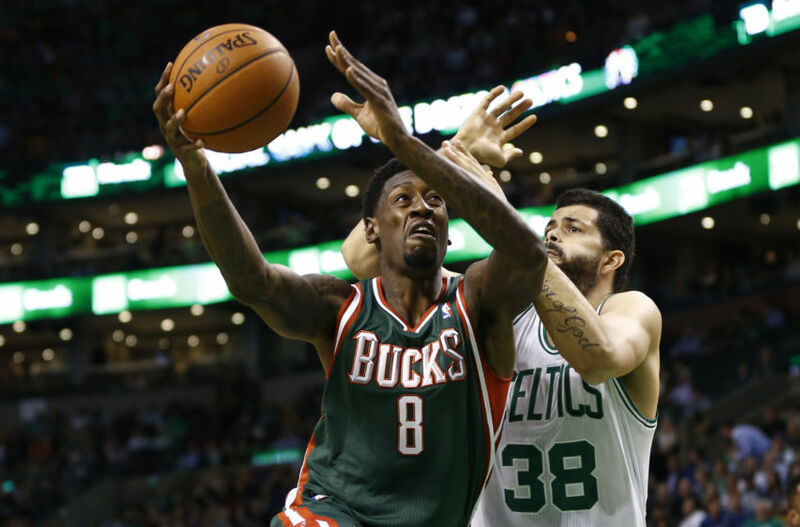 I obviously don’t have the answers to those questions, but putting them to one side and considering talent alone, the 2012-13 version of Larry Sanders could very well be a nice spark coming off the Jazz bench and allow them to shore up their frontcourt depth (specifically their center depth) significantly. If that version of Sanders still exists, the Jazz have little to lose by taking a look at the very least. I know, some of you are probably laughing at this one. It’s OK, though because in some ways I am too. Yet, for as much as Jeff Withey can drive me crazy, with his awkward looking run that I can only describe as “reindeer-like” and his clashing black shoe and white sock combo like he sported against Milwaukee, he really hasn’t been all that bad as a backup center. When and if Favors is healthy, Derrick is definitely a more talented option for the center position. Yet, it’s still obvious that when Gobert is out of the game and Favors is forced to play the five he simply isn’t quite as comfortable. Therefore, it could truly be of benefit to his game and the Jazz’s cohesion if instead Withey logged some minutes at center alongside Favors with Gobert resting or in foul trouble. In the instances when Favors isn’t healthy (which is unfortunately much too frequently), then Withey actually becomes an important part of the rotation in my mind. In Utah’s recent loss to the Grizzlies in which Derrick Favors was a late scratch, Jeff Withey never even saw the floor and Memphis’ bigs Marc Gasol and Zach Randolph simply had their way with the less formidable defenders Trey Lyles and Boris Diaw. Now, perhaps they would have run over Withey just as easily, but it would have been nice to at least see the Jazz try to throw out a bigger body and more length at the Grizzlies by utilizing the fourth-year center. In Utah’s latest win over Milwaukee, Withey came in following Rudy’s early fouls and did a formidable job of protecting the paint and putting up six quick points. Milwaukee is obviously no Memphis in terms of the skill of its bigs, but it was still good to see him log some meaningful minutes. Really good minutes for Jeff Withey here. He deserves a lot of credit for how well he's played without ever having a set role with the Jazz. And while Withey has hardly seen the court this season, he was an excellent defender last year, boasting an incredible defensive rating of 97.6 while chipping in a block per game in just 12 minutes per contest. Thus, while he isn’t necessarily a dazzling player, he is capable of getting the job done and should especially be utilized when Favors is sidelined and against teams that boast formidable big men that clearly outmatch the likes of Diaw and Lyles on offense. While this solution, much like Withey himself, is far from flashy, it’s a simple tweak that the Jazz could make if they decide none of the previous more risky solutions are worth it or feasible. By no means am I saying that Withey deserves more minutes than Favors, but with D-Faves still struggling to get healthy, Withey could certainly be useful to the Jazz in the proper situations. Yet even after going through all these solutions, it’s very likely that the Jazz will simply stay pat. I’ll be among the first to say that I am a huge fan of Derrick Favors and honestly hope that the solution becomes simply that he recovers and ups his game to his former level. This would not only be the easiest for the Jazz, but likely the most successful as he is a crucial part of this team’s cohesion and overall game plan. Nevertheless, given his struggles this season that have quite honestly held the Jazz back from reaching the next level, the team may very well need to look to take an alternative approach besides just sitting and waiting for their once formidable power forward to come to his own. 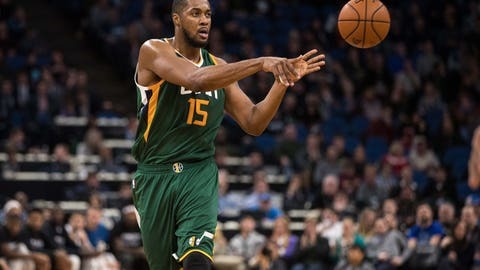 And whether that approach comes in the form of a trade, adding a free agent to increase depth or simply giving one of their current players more minutes when necessary, there’s no questioning that unless Derrick Favors can get back into a groove, something must be done for the Jazz to shore up their frontcourt and remain competitive against the top teams in the league.